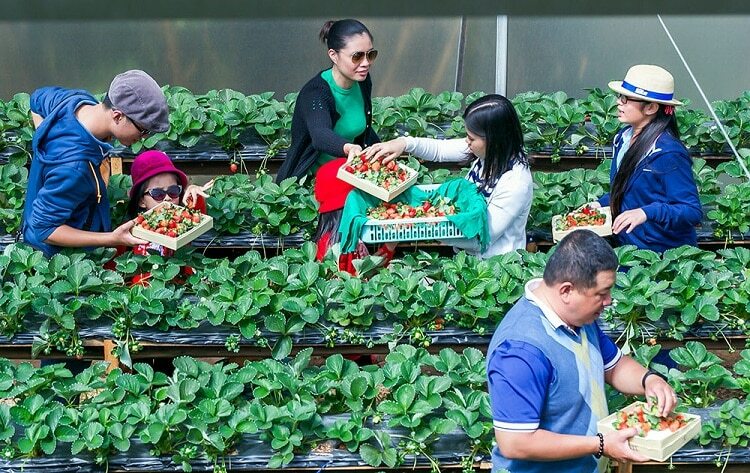 Visiting strawberry farms in Da Lat (Đà Lạt), taking photos, and buying strawberries as gifts are among the interesting experiences that should not be missed for the trip to Da Lat of all tourists. Strawberry garden is considered as an extremely attractive place for many visitors when coming to “The Misty City.” Many young people often like activities, such as visiting, picking, and buying strawberries at the bio-strawberry gardens, hydroponic strawberry gardens, or clean strawberry gardens. If you have the opportunity to travel to Da Lat, you can try visiting some famous strawberry gardens that are opened for free listed below. 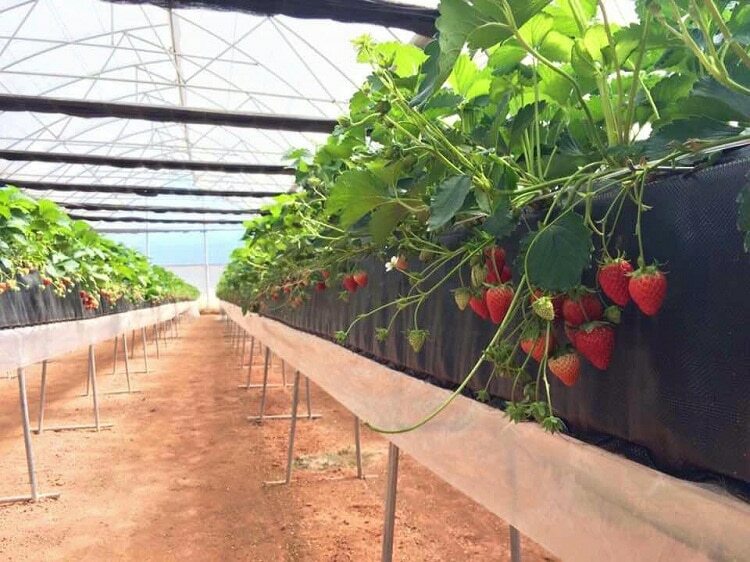 At present, the strawberry farms are growing many different types of strawberries, such as French strawberry, Japanese strawberry, New Zealand strawberry; and of course, traditional strawberry varieties of Da Lat. This article describes the beauty of Da Lat strawberry farms in Vietnam that is too sweet to be in. Here are some well-known strawberry farms to visit when coming to Da Lat. Biofresh Strawberry Garden is one of the most famous strawberry gardens in Da Lat because the garden’s space is beautiful, clean and airy. 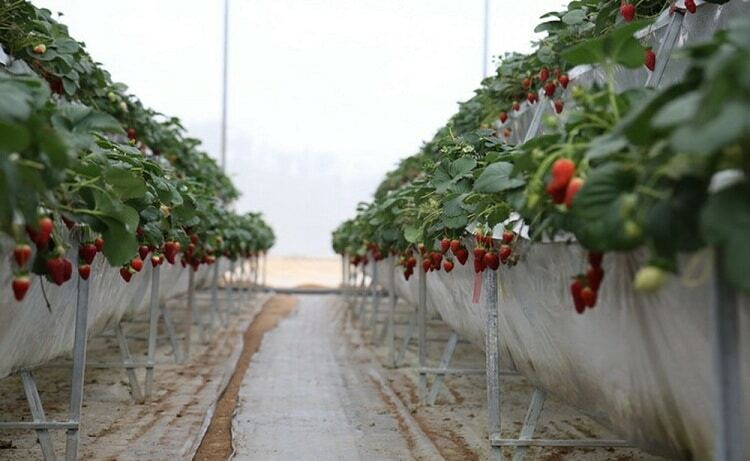 Biofresh strawberry garden is planted 1 meter above the ground in a semi-hydroponic method (grown on a greenhouse) and nurtured according to European standards without pesticides. Coming here, you can visit and pick strawberries comfortably and then; you will have to buy those strawberries. Here, each kilogram strawberry costs about 200,000 VND – 300,000 VND. 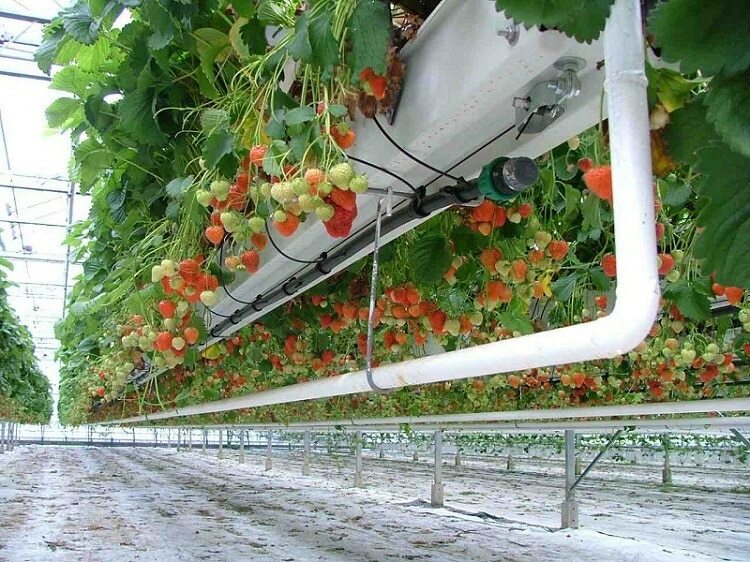 Due to be applied the modern technology, producing beautiful and high-quality fruits, the price of strawberries at this garden is also a bit higher compared to the price of other gardens where strawberries are grown on the ground. The strawberry plants here are grown on a biological model, which is completely natural and safe. In addition to picking strawberries at the farm, you can also visit and pick up the red, juicy tomatoes next to the strawberry farm. Address: Section 17 – TK 144B Round of Lam Vien (Lâm Viên), Ward 8, Da Lat (on the way to Ho Chien Thang (Hồ Chiến Thắng). Tourists who like to enjoy new varieties of strawberries like New Zealand strawberries, French strawberries … can visit the Hiep Luc strawberry garden, located in Hiep Luc eco-tourism area. Strawberries here are also grown biologically, without using pesticides. In addition to picking strawberries and enjoy the beauty of Da Lat strawberry farms right here, you can also buy home-made strawberry jam products to bring home as gifts for relatives and friends. 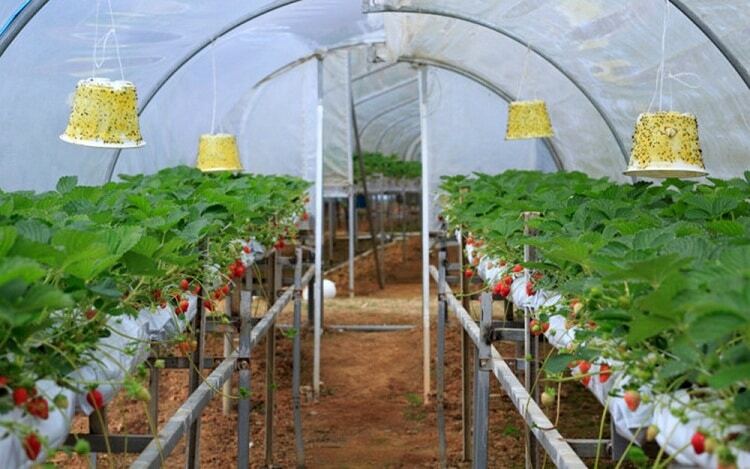 As one of the strawberry gardens grown in the hydroponic cultivation system, the strawberry farm of Mr. Nguyen Lam Thanh, located on Da Phu Street, Ward 7, Da Lat city, also attracts many tourists to visit every day. In this farm, you can freely pick, buy, and bring back strawberries with seasonal prices – not much higher than the market price. It is a famous New Zealand strawberry farm of Mr. Nguyen Thanh Trung, located on Ho Xuan Huong Street in Da Lat. In addition to visiting and hand-picking red ripe strawberries, here you can also eat some berries without paying any fee. Uncle Hung’s strawberry farm is one of the prestigious addresses for tourists to pick and buy strawberries right at the farm. Not only can you visit the delightful strawberry world but you can also feel free to take selfie photos with the flower and vegetable gardens. 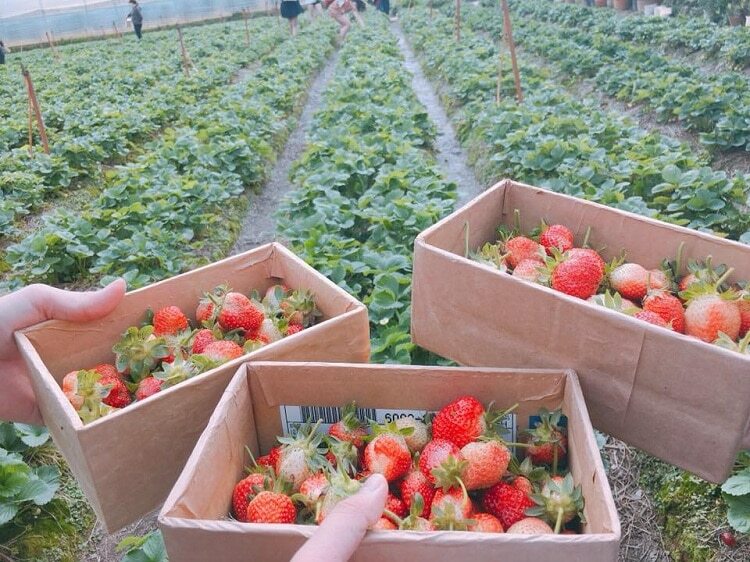 Visiting this place, you will be able to admire the beauty of Da Lat strawberry farms without having to pay any fee. The farm owner is very easygoing and enthusiastic. They will guide you on how to take care of the strawberry plants. The owner here also does not force tourists to buy strawberries. This strawberry farm is located next to the Thanh Mau Church. If it is not found easily, you can ask the local people around there as almost everyone knows this farm. 88 Strawberry Farm opens for tourists without any fee like many other clean strawberry gardens. If you come here at the beginning of the strawberry season between October and November, the price of the strawberries will be doubled. 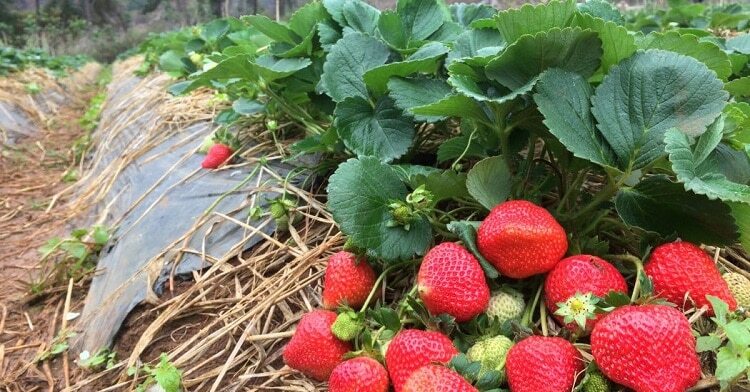 If you want to buy strawberries with lower prices, you should travel to Da Lat in March to April, as at this time, the strawberry productivity is high, so the price per pound of strawberries will be quite low. Avoiding intermediaries and motorbike drivers who guide you to pick strawberries at the garden for 20,000 VND / kg as they will take you to shops to buy products. You should read online articles related to fraudulent strawberry farms. When entering the strawberry farms, you should go in line and manage the children very carefully. Some strawberry farms will have more services, such as selling strawberry products and strawberry specialties. If you do not like to buy, you can refuse. Seeing the vast strawberry farms with their own eyes and hand-picking the berry ripe strawberries right at the farms is a wonderful experience that any tourist wants to try when visiting Da Lat. Why don’t you try it soon after reading this interesting article from Vina.com? 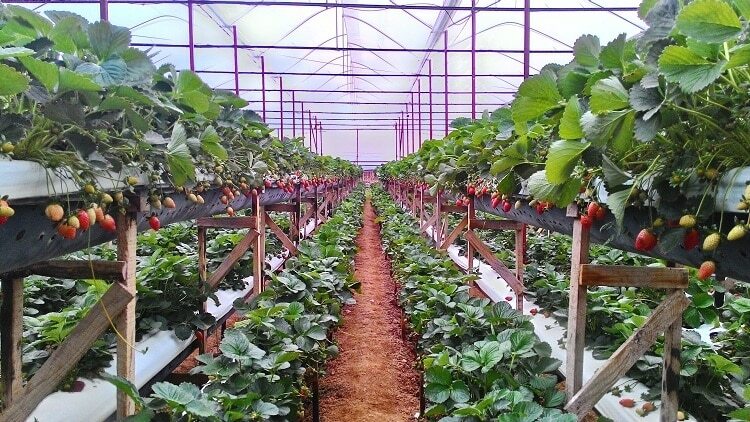 Moreover, if you already have any personal experience in Da Lat strawberry farms, do not hesitate to share them with other readers by leaving your comments below. To know other places to visit in Vietnam, visit our Attractions page.